The experience guests will have at your wedding reception depends on the venue chosen. This is because your choice of location will determine the outlook of the theme, décor, lighting and also if it will conveniently accommodate your guests. Therefore, the place you decide to have your reception needs to be well thought out. In fact, it is one of the aspects that takes a huge chunk of the financing and budgeting during the wedding planning process. There are many options of venues and My Wedding has picked the top popular types to look at. This is to enable a couple choose a reception venue wisely after weighing the benefits and shortcomings of each. This is a common reception venue for couples who love the outdoor atmosphere. In Uganda, most of the gardens are hired since such places are usually have well-maintained flowers and grass with ample space to accommodate the guests. The following are the pros and cons of garden receptions. 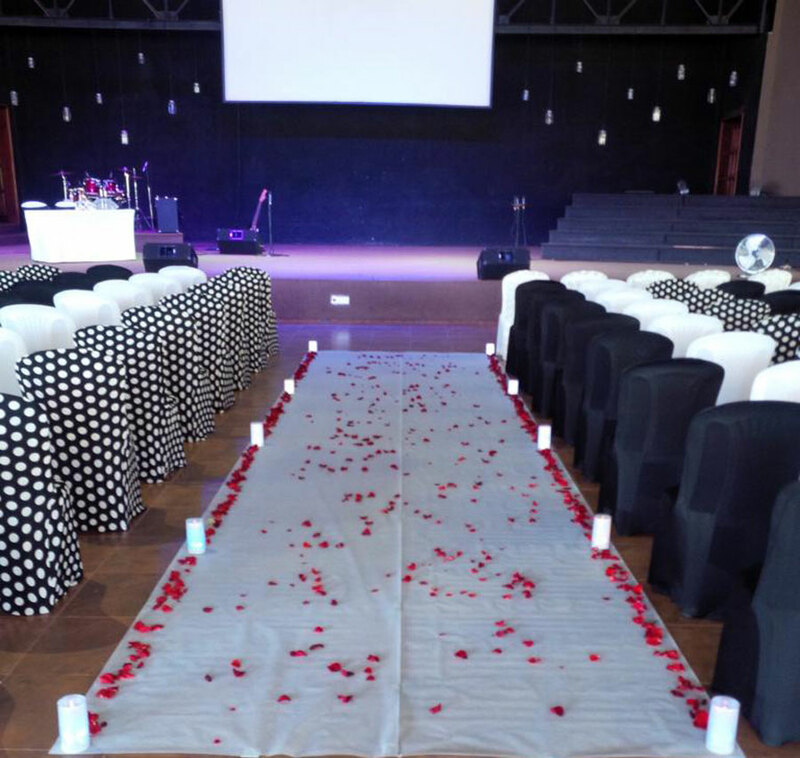 According, to Pastor Patrick Nagaya, the owner of Patrima Events a decor company, with gardens, one is allowed to bring in their own service providers like caterers, decorators and a DJ. “This is because there are few garden venues like hotels that can have all service providers on site,” he explains. He adds that for those who hire gardens from a school, church or community center, may have to hire their own service providers which is cheaper because they have various options and there is room for negotiation. Most couples usually prefer having photo sessions in garden settings. So, it may be wise to hire a garden reception so that the couple does not need to look for another green place to take photos which from which may be far from the reception area hence wasting time. 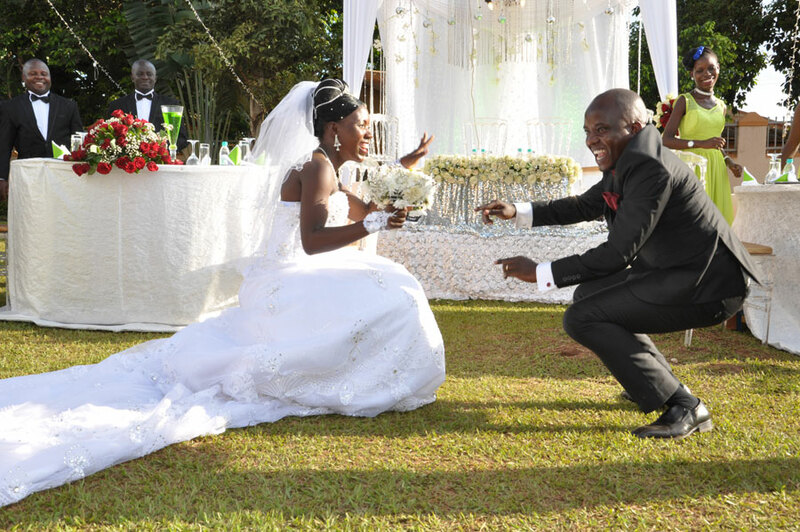 Maria Kitende, a housewife who was a matron to her neighbor in 2017 shares that the couple organized to have their photo shoot at Munyonyo resort gardens but their reception was at a hall in Matugga. Kitende says there was a lot of jam the whole way back to the reception. They ended up arriving at the reception at 6pm yet it was supposed to start at 3pm. “By the time we reached there guests were already tired from waiting and even already finished taking the first round of drinks,” she reveals.” So, by 9:00pm most guests were leaving yet they had not yet cut the cake and had the first dance. The long speeches that took place did not help matters. 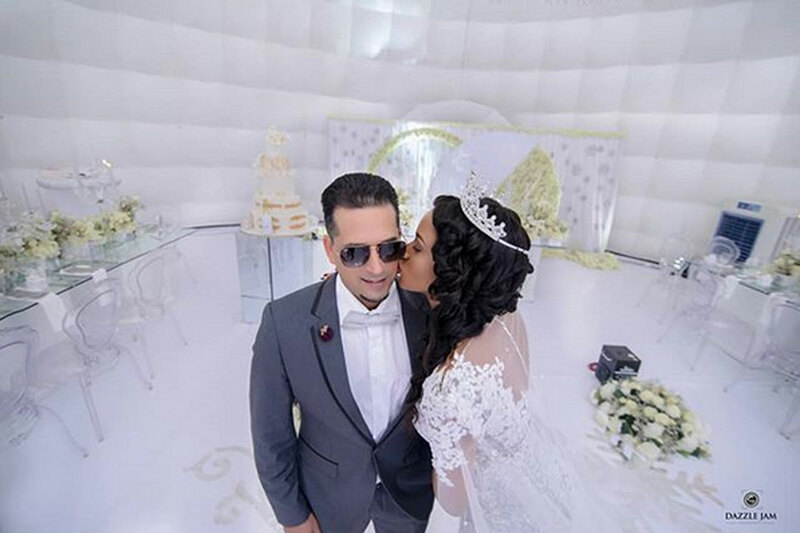 This was different for Mr and Mrs Bongomin who got married last year in December. In an interview with My Wedding Magazine, they revealed that they specifically decided to choose Yes Cente, Gardens which was next to the St Peter’s Church so that they could have a perfect photo shoot there and after easily cross to the reception which was a walk-able distance. They revealed that this helped in time keeping and the party ended by 10:00pm as scheduled. 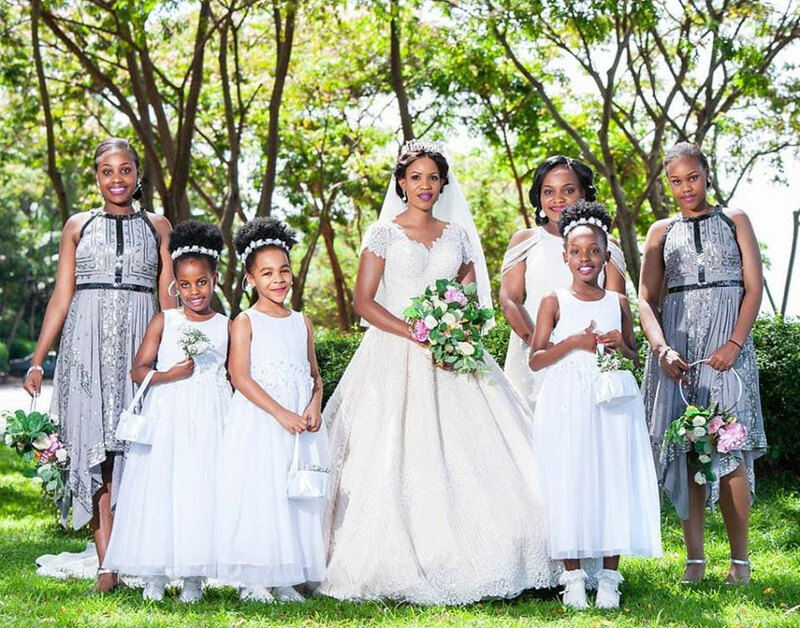 Denis Ssemwanga, a wedding photographer says that with gardens during the day there is no need to adjust the lighting to get clear photos which may not be for the case in an enclosed hall. He adds that the background setting of the gardens like the grass and flowers is enough to beautify the pictures without any additional editing. Nagaya says that there are some guests who may have some diseases like tuberculosis that may make them uncomfortable when in enclosed rooms with large numbers of people. Therefore, they may need to constantly get out of the reception to get some fresh air. “But with gardens people love them for the fresh air is in plenty and offers that relaxation breeze,” he says. According to the owner of Patrima Events, people who want to hold large weddings will automatically opt for gardens because they have ample grounds and spaces that can accommodate the multitude of their guests. Weather is one unexpected factor that may not favor a garden reception especially if it rains out of the blue. That’s why some people shun holding their receptions outdoors because they are not prepared to have their party ruined by bad weather. Since gardens are open and sometimes do not have perimeter wall fences, it is easy for gatecrashers to join the celebration which may make the food and drinks run out before the invited guests have anything. At times there are intruders who may come with the intention of stealing the belongings of your guests. This can paint a bad picture for your party as some leave cursing why they came because they lost their possessions. This poses a security threat especially if no security personnel was hired to monitor the venue. Renzioni Hill, a wedding planner with Renzioni Events says that gardens are actually expensive. This is because you have to foot costs of hiring the grounds that will accommodate many people, the service provider and power to boost sound and lighting. Even decorating an open venue, he says, is difficult, consumes a lot of time and is more expensive. “Also hiring the tents is another expensive venture because their price can vary drastically, based on size, type and structural design,” he explains. Apart from the tents, expect to pay more for the tables, chairs, and other rented items that are rarely included in site fees. 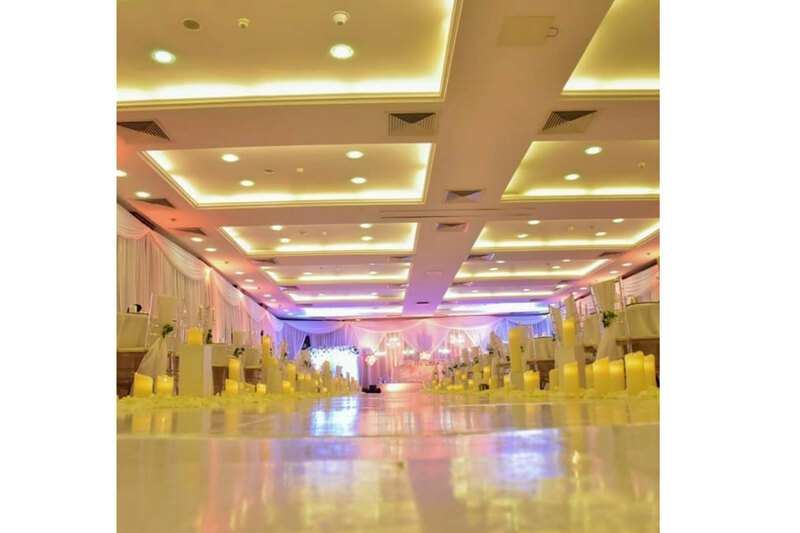 Hotels are very popular wedding receptions since their staff are trained and equipped to handle guests and events efficiently. Here are the pros and cons of choosing a hotel or resort as your wedding venue. Renzioni explains that the hall is confined hence it is easy for those checking for wedding cards to vet those who are invited guests and gatecrashers. This makes crowd control and security monitoring easy. Renzioni says that he finds his job as a decorator is made easier while decorating for a hotel reception. “This because the venue is guaranteed to have beautiful rooms with great interiors, lighting and elegant decor to match it. So, you can just enhance with a few decorations hence cutting on costs,” he explains. “Also,” he says, less is more. Hotels already have experienced staff that are familiar with hosting events and entertaining large groups of people. This makes them reliable when it comes to planning for a smooth and organized ceremony. There catering services which are onsite assist in creating a menu and beverages for your guests. They also rarely disappoint in serving the food and drinks in time because you do not have to worry about the hassle of transporting it from one location to another. They always have facilities like enough parking space, security personnel and bathrooms which are part of the package compared to other venues. They also have convenient rooms that an entourage and the guests can use to get dressed from for the evening. So, your guests who have travelled from far can book and spend a night after the party. The newly-wedded couple itself can get a package to spend their honeymoon in that same hotel. According, to Renzioni, hotels are quite expensive because they offer standard packages which makes room for negotiation limited and your budgeting has to equal with what they are requesting for. Renzioni says that you cannot go use other service providers and entertainment for the occasion. “This limits a couples options where they are not allowed to outsource food, alcohol and a DJ from outside yet it may be cheaper,” he explains. He adds that many hotels may not give you the option to rearrange tables to suit your layout preference. “Hotels usually have a standard number they set to accommodate guests in a hall, like 150 people which may not favor someone who has a guest list of 200 people,” says Renzioni. Halls are sometimes attached to a hotel but can belong to a school, company or the church itself. Here are the advantages and disadvantages of this choice. Halls are preferred for they allow the couple to design their reception according to their personal taste. They usually have little to no décor which means you can work with the colors and elements of your choice to create a wedding day that reflects your tastes to the smallest detail. You can make the space work for your desired guest count by arranging the seating and other details suitably. Generally, a hall has the same pros as a hotel except the difference in the above aspect. The entire bulk of planning the décor is on you. This is because there is little or no existing décor, so you will have to work hard on getting the theme and planning how the seating arrangement has to be stationed. 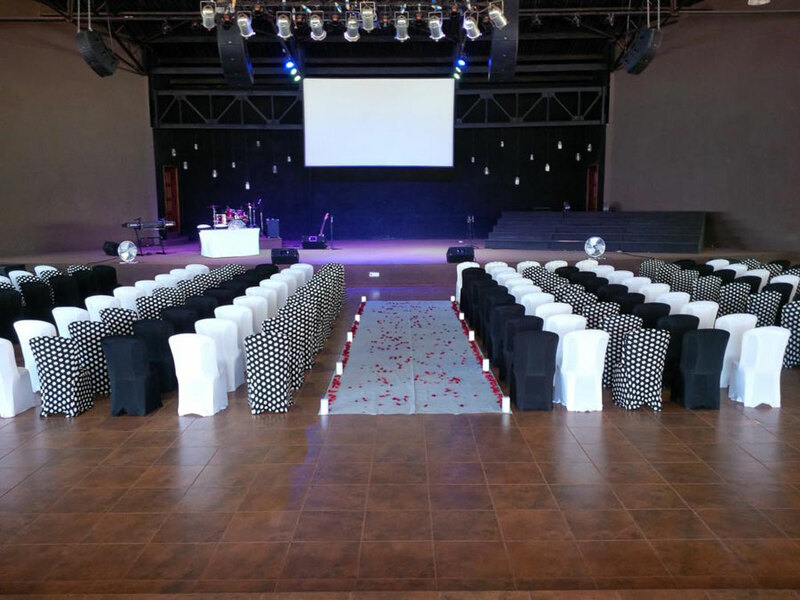 Unless the hall is attached to a hotel, you will have to rent all the required equipment for the DJ and people to transport the chairs and tables for setting up the arrangement. You will also have to find outside vendors for the food, decorations and all other aspects of the wedding. After looking at the two sides of the coin for each venue, the ball is in your hands to pick what you believe will work best for your dream wedding.